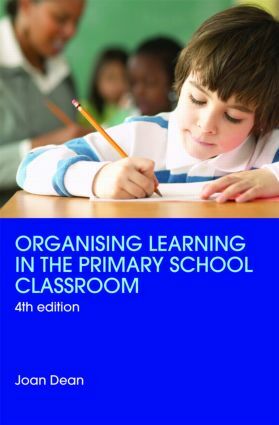 Since the publication of the first edition, Organising Learning in the Primary School Classroom has been recognised as an indispensable guide for primary school teachers in their quest for more effective practice in the classroom. It gives help on everyday problems of classroom organisation: how to group children, how to set out a classroom physically, how to make the most efficient use of time and resources. teaching children with special educational needs or exceptional ability. Throughout, the aim is to get teachers and student teachers to analyse their own classrooms and to produce solutions that will work for them. This book will be invaluable not only to newly qualified teachers, but also to experienced practitioners wishing to review their work. Joan Dean has been involved with many aspects of education, having taught in primary and secondary schools and a college of education. She has held two primary school headships and was for eleven years Senior Primary Advisor for Berkshire and for seventeen years Chief Inspector for Surrey. She was a school governor from 1994 to 2000. She is the author of nearly forty books on education. In 1980 she was awarded an OBE for her services to education.